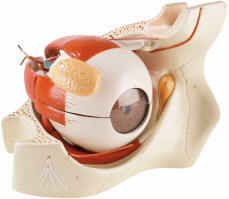 Sight is the human body's primary sense - its main way of gaining information. Two thirds of the mind's conscious attention is taken up by what the eye sees and two thirds of the information stored in the brain has come in by way of vision - pictures, written words other visual stimuli. 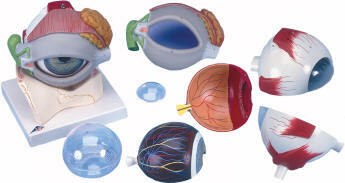 The human eye is an amazing little machine - one that transforms light rays into images that can be processed for their informational content. 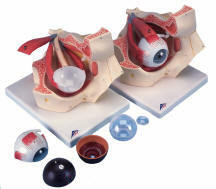 We offer a wide variety of anatomical models of the human eye. 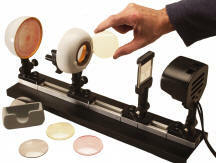 They provide everything from an introduction to vision to how the eye works. 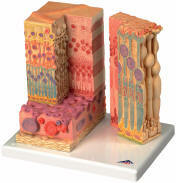 Some are perfect for grade school students, but others are more suitable for medical schools and hospitals that need greater detail. 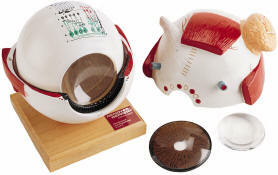 They are very useful for patient education and are essential to ophthalmology.